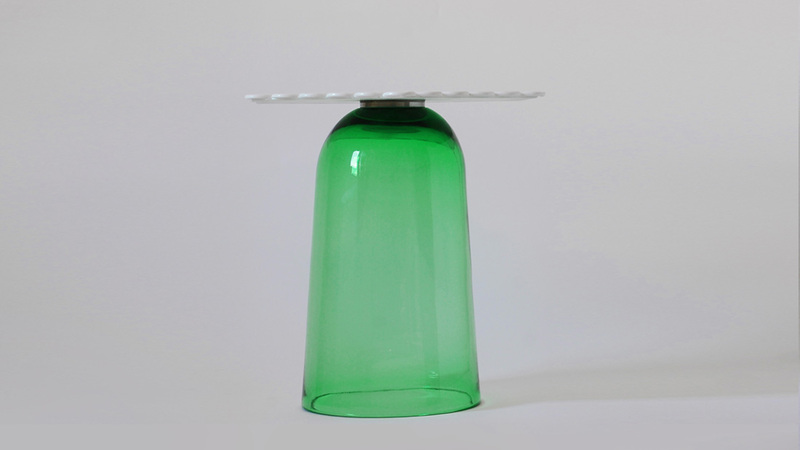 “FIOCCO” is a side table made with Murano glass technique. 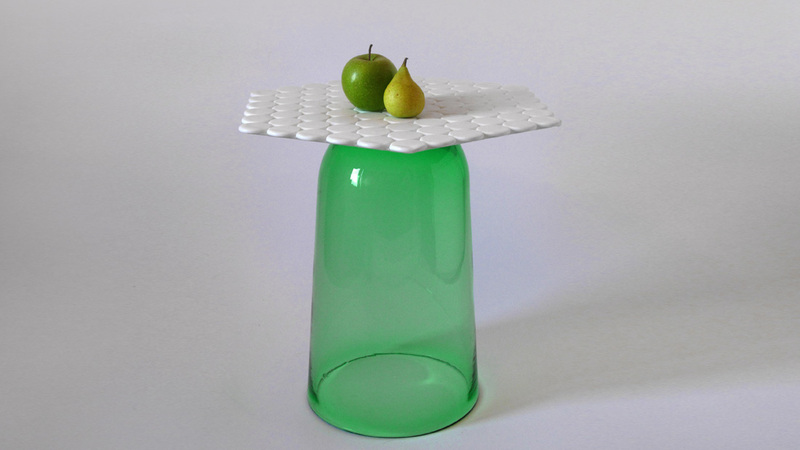 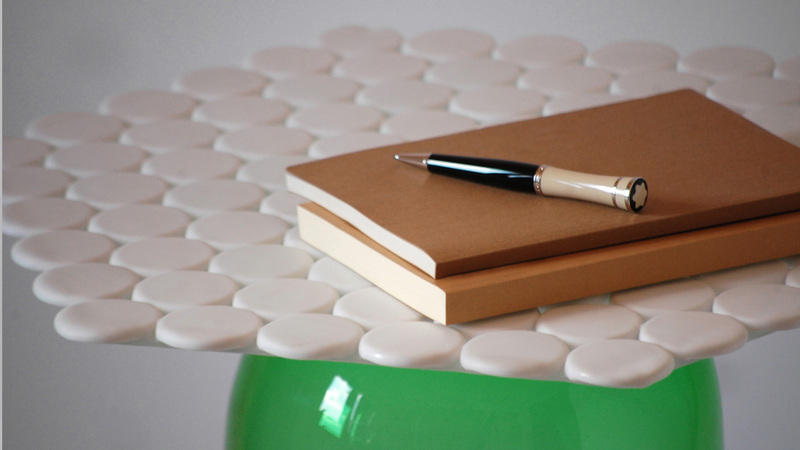 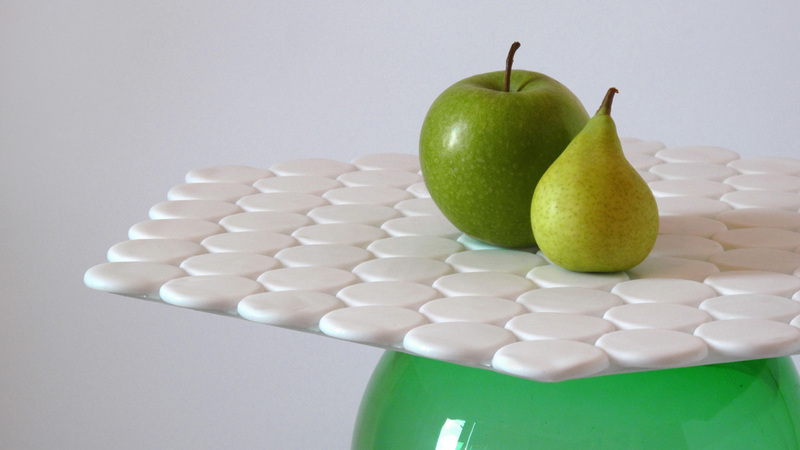 The hand blown glass base holds the glass table top in hexagon form. 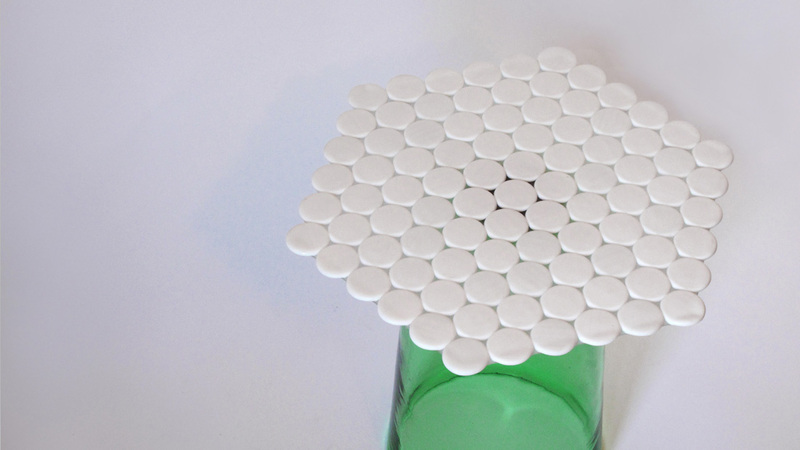 The table top consists of small round glasses in pebble shape which are fused together applying Murano’s murrine technique.